Now part of Findel Plc, NES Arnold are one of largest education and school suppliers in the UK. 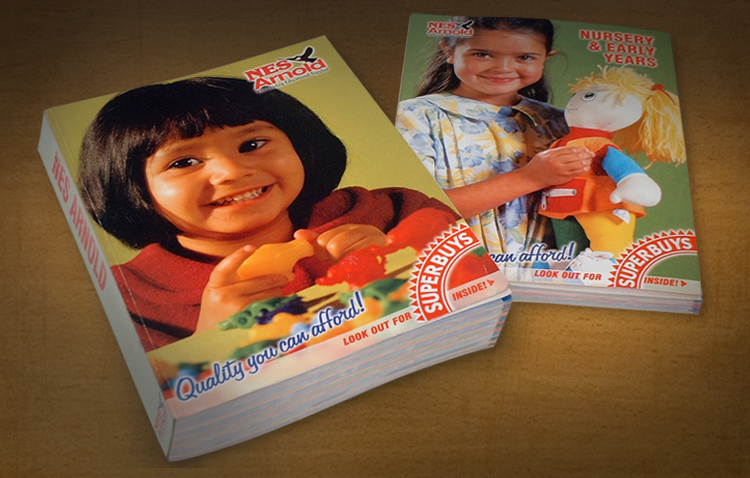 We have worked on numerous NES Arnold perfect bound catalogues and other design projects for them over the years. Our design portfolio includes many NES catalogues from their huge 1300+ page perfect bound catalogues to their small 16 page trade catalogues and many, many more. Andrew Burdett Design have been involved in the complete production process for Findel’s NES Arnold catalogues. From catalogue planning to design concepts, artwork to design, catalogue photography and art direction, repro and sourcing their catalogue print.